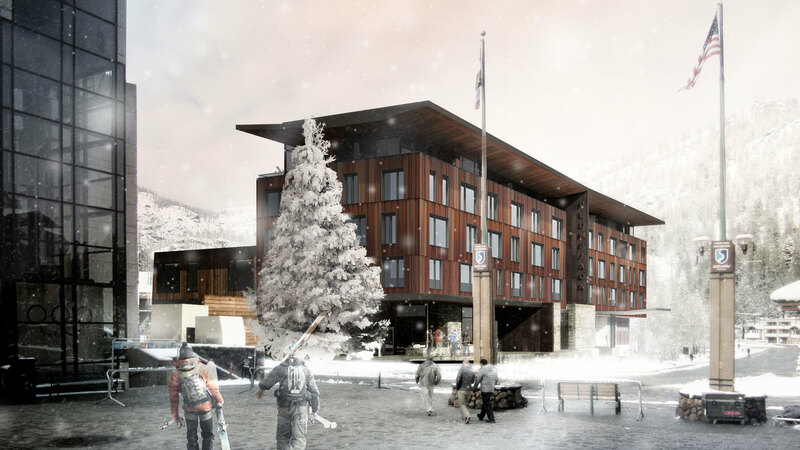 The PlumpJack Inn is a redevelopment of an existing hotel at the base of Squaw Valley Ski Area. 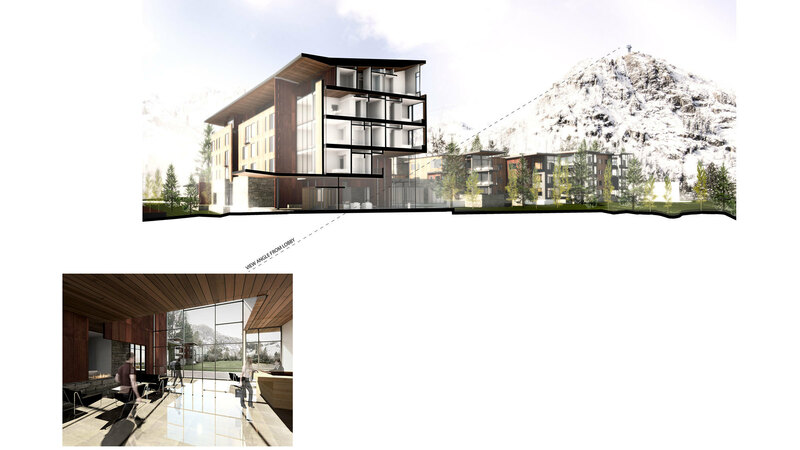 The design recalls the bold architecture built throughout Olympic Valley for the 1960 Winter Olympics, while creating an elegant and contemporary legacy to carry the tradition of the PlumpJack brand forward. 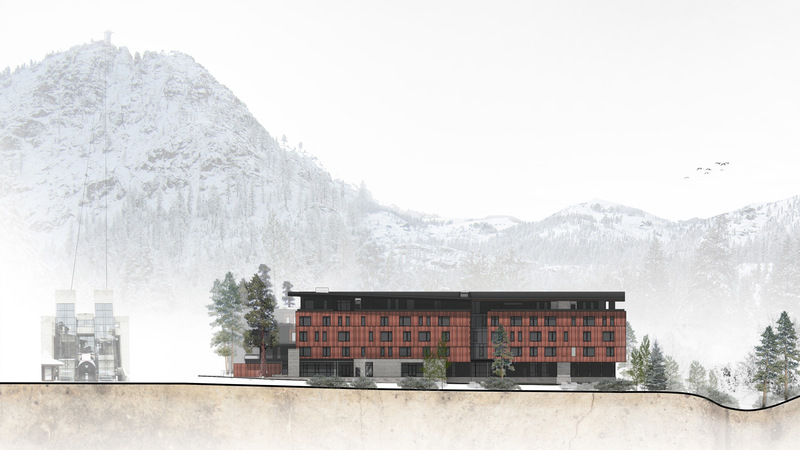 The site is arguably the best in Olympic Valley. 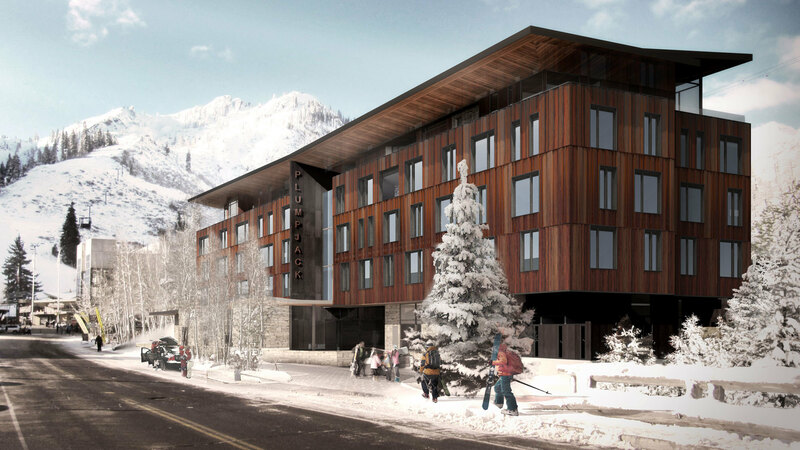 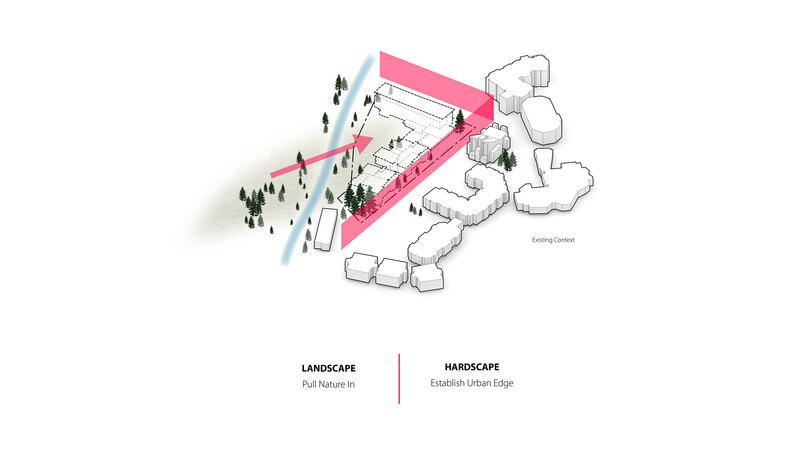 Its proximity to the Squaw Valley Tram rivals the location of the existing base village, yet with a stronger connection to nature, with Squaw Creek on the north and views to the iconic peaks of Squaw Valley, KT-22 and Tram Face, as well as up Shirley Canyon. 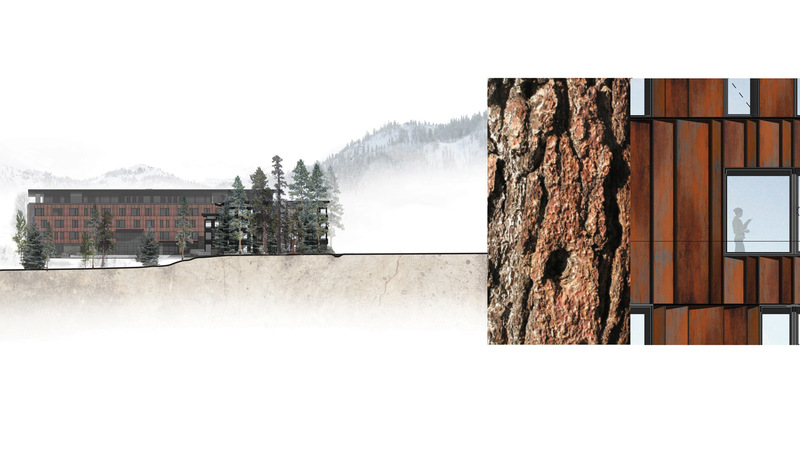 The client’s vision for a wood-clad building evolved into this Corten building skin that was designed to emulate the depth, color, and texture of the Jeffery Pines found on site and throughout the Tahoe region.